Aesthetic Advantage is extremely honored to have Dr. Marc Schlenoff as one of the many clinical instructors and lecturers leading our Aesthetic Continuing Education Courses. 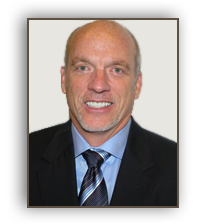 Dr. Marc Schlenoff graduated from the University of Maryland Dental School in 1981, and has run a very successful general dentistry practice in McAfee, New Jersey since 1985. His practice involves all aspects in general dentistry, with an emphasis on aesthetic and comprehensive restorative care. For the past 11 years, Dr. Schlenoff has been a clinical instructor and lecture here at the Rosenthal Institute Aesthetic Advantage at NYU. Dr. Schlenoff has also taught hands-on courses at several American Academy of Cosmetic Dentistry meeting over the years, helping practicing dentists master the latest aesthetic techniques. He’s also an assistant clinical professor at the New York University, School of Dentistry. In addition, he’s on staff at Morristown Memorial Hospital, where he trains dental residents in clinical dentistry, as well as in practice management. Dr. Schlenoff has published articles for three leading professional journals, including Inside Dentistry, Dental Economics and Practical Aesthetics. He also completed a Certificate Program in Business Essentials from Rutgers University. Dr. Schlenoff has been named one of America’s Top Dentist’s for Cosmetic and Restorative Care by The Consumer’s Research Council of America for 8 consecutive years. 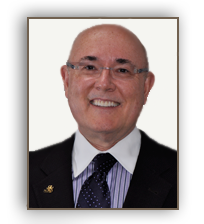 Along with all of Dr. Schlenoff’s clinical practice, he has also volunteered his time and care to Make-A-Wish Foundation, Special Olympics, Give Back a Smile Program and Donated Dental Services. For information regarding enrollment to one of the longest running and most prestigious dental program of its kind, contact Aesthetic Advantage in New York, NY at 212-794-3552 today! 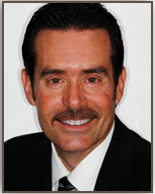 Or visit www.aestheticadvantage.com for further information concerning Dr. Marc Schlenoff and our faculty. 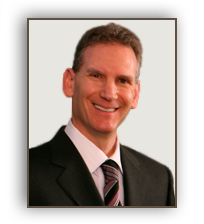 Dr. Michael Kraus graduated from Columbia School of Dental and Oral Surgery and has be in private practice for the past 26 years. He’s a clinical instructor at Columbia University and here at the Rosenthal Institute in New York City. He’s also an instructor at the Atlantic Coastal Research Clinic in Palm Beach, FL. Dr. Kraus is very proud of his teaching experience. With cosmetic and restorative dentistry being Dr. Kraus’s true passion, he decided to open up his own private practice in 2001, which is located on Madison Avenue in mid-town Manhattan. His office is equipped with state-of-the-art technology for comprehensive dentistry. He is known for his comprehensive care and attention to detail. Dr. Kraus addresses the needs of the entire oral cavity and the connection to the patients overall health. 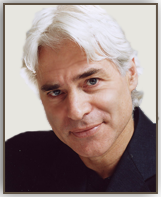 Dr. Kraus is a spokesperson for major brands such as Colgate, Crest, Sonicare and Trident. To learn more about our clinical instructors here at Aesthetic Advantage, call 212-794-3552 or visit our website at www.aestheticadvantage.com for more information regarding our faculty. Dr. Todd Meeks graduated from the Indiana University School of Dentistry in 1988, and now maintains a successful private practice in Fort Wayne, Indiana. 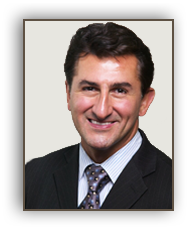 He has received advanced training in all aspects of general dentistry and cosmetic dentistry. He’s completed the Pacific Aesthetic Continuum in San Francisco, and is a Master Graduate and Instructor here at the Rosenthal Institute in New York City. Dr. Meeks is also an accomplished author with publications in Dental Products Reports as well as Dentistry Today magazines, and for the last three years he has been asked to lecture at the national convention for the American Academy of Cosmetic Dentistry (AACD). Dr. Meeks is a member of the American Academy of Cosmetic Dentistry, Academy of General Dentistry, American Academy of Implant Dentistry, the Isaac Knapp Dental Society, the Indiana Dental Association and the American Dental Association. In his spare time, Dr. Meeks enjoys golfing and spending time with his three wonderful children. Learn more about our clinical instructors here at Aesthetic Advantage, call 212-794-3552 or visit our website at www.aestheticadvantage.com for more information regarding our faculty. Dr. Kenneth Hamlett is a senior clinical instructor and lecturer for the Rosenthal Institute in the Aesthetic Advantages courses at New York University, Eastman Dental College and London, England. He graduated from Baylor University College of Dentistry, and maintains a private spa dental practice in Dallas, Texas. 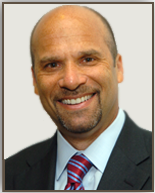 Dr. Hamlett lectures both nationally and internationally on cosmetic dentistry techniques. He’s a Fellow member of the American Academy of Cosmetic Dentistry, Academy of General Dentistry and Southwest Academy of Restorative Dentistry. Dr. Hamlett also does research for The Dental Advisor. Dr. Hamlett has a deep love for his home town Dallas, Texas. Not only has he provided with extraordinary, personal care for fellow Dallas natives, but also his incredible skills and reputation has brought patients such as media celebrities and fashion models, from all over the world to his Dallas office for treatment. Dr. Hamlett’s strives to give every single one of his patients the treatment they deserve. To learn more about our clinical instructors here at Aesthetic Advantage, call 212-794-3552 or visit our website at www.aestheitcadvantage.com for more information regarding our faculty.